Be the first to share your favorite memory, photo or story of Vickey. This memorial page is dedicated for family, friends and future generations to celebrate the life of their loved one. 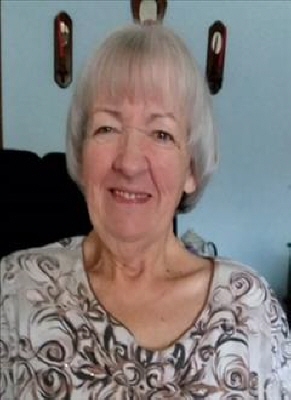 Vickey Dee VanDeMark, 69, of Duncan went to be with her Loving Heavenly Father Wednesday, August 15, 2018 at her residence in Duncan. Services will be 10:00 AM Friday in the Bethesda Church of God with Reverend Harold Metheny officiating. Interment will follow in the Duncan Cemetery under the direction of the Bailes-Polk Funeral Home. The family will receive friends or visitation at the funeral home from 5-7 PM Thursday. Vickey was born October 11, 1948 at Duncan, Oklahoma the daughter of Clovis Ervin and Wanda (Troutman) Hodges. She graduated from the Duncan High School in 1966. She and Walt VanDeMark were married at Duncan, Oklahoma on April 11, 1981. She was a member of the Bethesda Church of God, she enjoyed reading, sewing and singing at church. She was preceded in death by her parents and a sister Norma Standridge. Survivors include her husband Walt VanDeMark of the home in Duncan; son Nathan Paul VanDeMark and his wife Meagan of Mustang; daughter Jill Denae Webster and her husband Jason of Mustang; two grandchildren Elijah and Zachary; brother Rick Hodges and his wife Sandie of Duncan and sister Diana Hutto of Alvord, Texas. To send flowers or a remembrance gift to the family of Vickey Dee VanDeMark, please visit our Tribute Store. "Email Address" would like to share the life celebration of Vickey Dee VanDeMark. Click on the "link" to go to share a favorite memory or leave a condolence message for the family.